Dear friends, this is the last call to our Multiplier Event in Berlin on the 27th of March. If you are not able to travel, just register for our Skype Webinar, and we will send you a link to follow the event from the computer. Hopefully, we will see you there! Following is the schedule of the event. The time flies by and we have finally finished with our test courses. The learning materials for the Pan-European Competence Sertificate for Shot – firer / blast designer has never been better. So it is time to introduce it to you. On the event we will show the PECCS materials, the Online Learning system and talk about the future of shot-firer education in Europe. There is no participation fee. We are inviting all interested parties to register for our III Test Course for PECCS materials. The course will be held in Dresden, Germany, from 10th to 14th of September. Thank you France for such an amazing welcome for our II Test Course. Soon it will be time for the final, III Test Course of PECCS materials in Dresden, Germany. We are getting closer to our finish line! Together we will make it better! See you in Paris and Dresden! 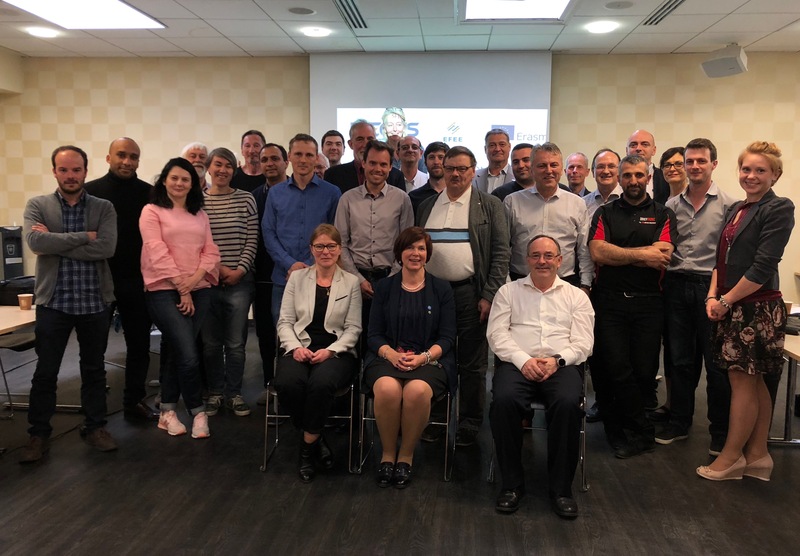 A week in Stockholm resulted with 21 participants, more than 10 pages of feedback and good points about the materials of the Pan-European Competence Certificate for Shot-firers. We will continue with Test Courses to enhance the materials even more, to find possible future teachers for shot-firers courses and share the insights of the best shot-firer learning materials in Europe. Everyone is welcome to participate on our following Test Courses. For the third time, PECCS partners gather for the International Project Meeting. This time, it is Stockholm, September 2017. A busy summer is now behind us and a lot of work has been done. The learning materials are basically ready and waiting to be used. There is excitement in the air. The first Test Course is very near, preparations are already half way there and time goes by flying. We have teachers, we have students and we have evaluators. There is still some room for more interested parties! The dates for the Test Course are 11th to 15th of December. In Stockholm, the hometown of Alfred Nobel, another EFEE Conference will take place on 10-12th of September. Full with interesting presentations from the blasting and explosives world, people with great knowledge and experience and a captivating history of the well known dynamite inventor Alfred Nobel. 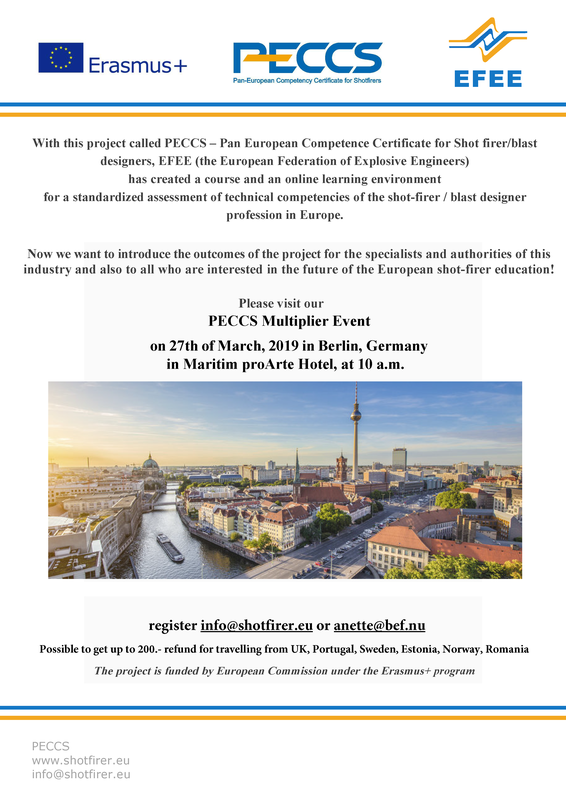 PECCS is very happy to be represented both on the conference and also on the EFEE Newsletter special conference edition. PECCS Partners met in Coimbra in the end of March 2017! 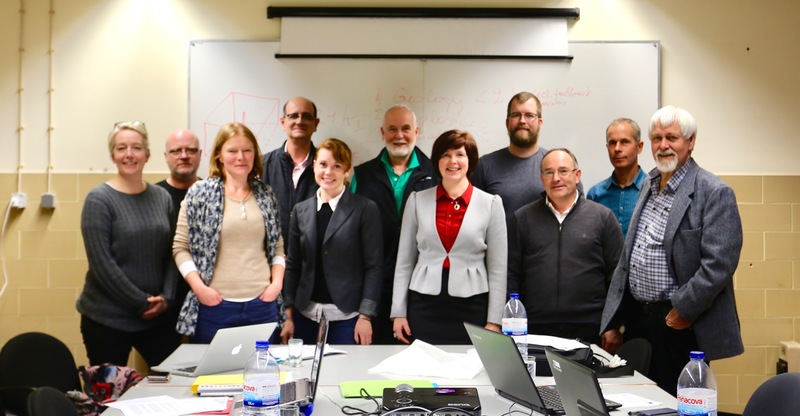 The second International Project Meeting took place In Coimbra, Portugal. All the tasks were taken apart and put together again in detail. All discussions continued until an agreement was established and in the end a very productive two days left the partners with a busy summer ahead. It is already clear that the first Test Course will take place in Stockholm, December 2017. We welcome all interested parties, specially blasting professionals and shot-firers. It contains very interesting, new and detailed articles from the European world of industrial explosives. In this December edition you can also find a short article about PECCS progress. 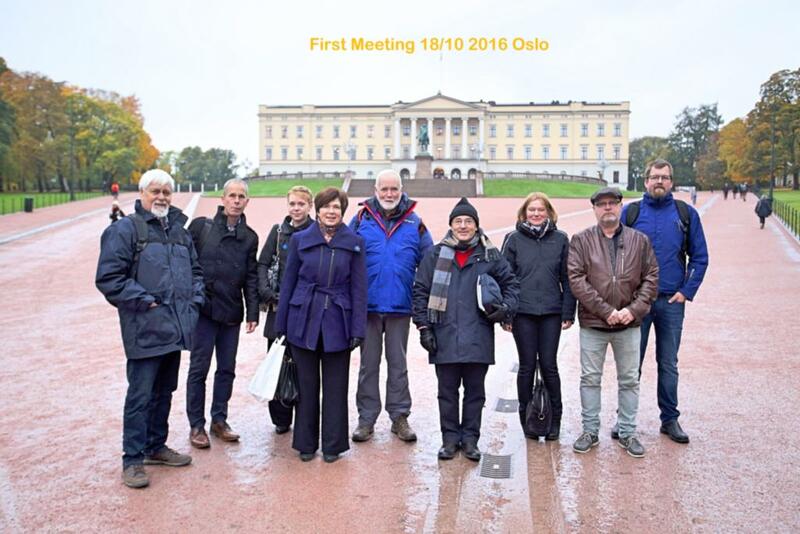 On 17-18 October 2016 PECCS partners gathered to Oslo for a good Kick-off meeting. Finally after three years of waiting, we are able to continue with our work in order to create a new EFEE Shotfirer Competency certificate. The following years will be busy. The next months will be dedicated to working with existing materials (in case of interest, please find the materials under Learning Materials) – the tasks consist of modernizing the materials, adding exercises and examining questions. During the first meeting we also made some very important decisions about the future of PECCS. The next step after working with materials are Test courses. The partners have now decided on the most suitable length of the test courses and also agreed on the teachers for the courses. So all who are interested, please prepare yourself for 3 day courses in autumn 2017, starting early in the morning and lasting for 8 hours minimum, which means that travelling should be done a day before and a day after.